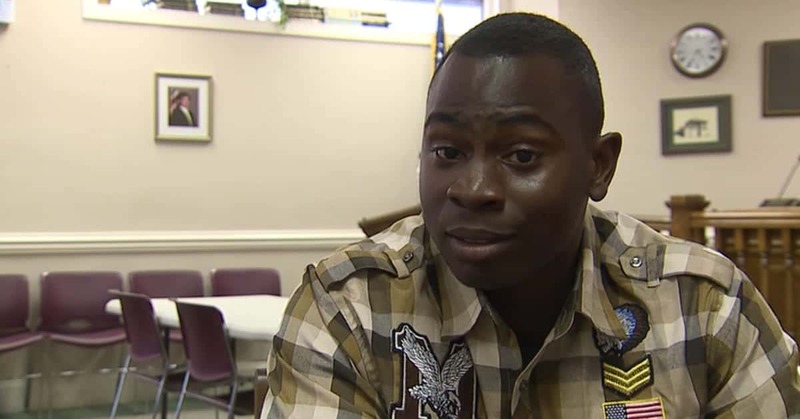 On January 1, 2016 Patrolman Quincy Smith of the Estill Police Department in South Carolina was dispatched to check out a man who had possibly shoplifted from a local store. The suspect, 29 year old Malcolm Orr, was spotted by Patrolman Smith walking a short distance away. Patrolman Smith attempted to stop Orr; giving him verbal commands to stop, take his hands out of his jacket pockets and come over to speak with him. Orr did not obey the officer’s commands and instead continued to walk away. Ptl. Smith began to walk towards Malcom Orr and continued to give him orders; Smith also drew his department issued Taser gun and closed the distance between himself and Orr. The two men were fairly close together when Orr abruptly pulled a handgun from his jacket pocket and fired several rounds at Ptl. Smith striking him three times, once in the neck, once in the arm and once in the hip. Ptl. Smith returned to his patrol car for cover and called his headquarters to report the shooting and ask for help. Malcolm Orr took off from the scene. This entire event was recorded on a “body cam” of sorts. Several weeks before this incident Ptl. Smith purchased his own video recorder that was built into a pair of glasses. His agency didn’t have the funds to buy body cams and Smith felt it would be a good piece of equipment to have so he bought them himself. As it turned out the suspect, Malcolm Orr was positively identified using the video from Ptl. Smith’s personal recording device. 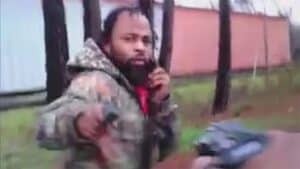 This video footage of Smith’s deadly encounter was shown nationwide on many news programs and as well as on Facebook and other social media sites. The reaction to it was amazing as it revealed the reality that every cop faces every day, unexpected danger. 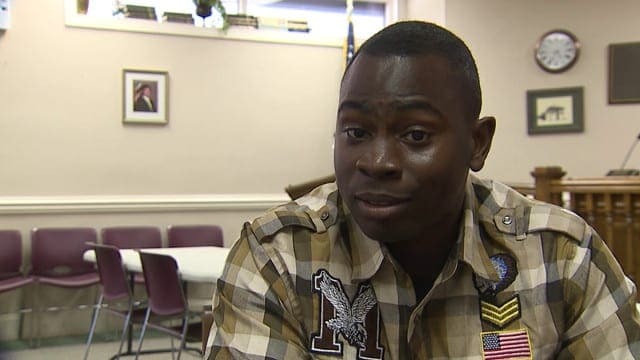 What made it even more amazing was that as he sat in his patrol car bleeding from the gunshots Ptl. Smith took to the police radio and told dispatch to tell his family he loved them. He did this because he believed he was going to die. I spoke to Ptl. Smith about his experience; he was very forthcoming about the incident and the lessons he learned as well as his very real brush with death. Quincy Smith is unique as a person, but he carries the traits of many of those in law enforcement, he just wanted to keep his community safe. Serving in law enforcement was his way of doing just that. Quincy said that what he found during the incident was how good people really are; two strangers came to his aide after the shooting and helped him as he waited for assistance and medical attention. Two of his cousins were listening on police scanners and heard the report of his shooting; they responded to the scene and prayed over him and with him while they waited for help. I asked Quincy if he felt that he survived for a reason and he said that he knew God was with him, he could feel his presence in those long and terrifying moments. Quincy was out of work for several months, returning in November of 2017. The shooter, Malcom Orr, was tried and convicted and sentenced to 35 years in prison for his attempt to kill Ptl. Smith. Ptl. Smith has a great attitude and he is grateful for those strangers that helped him in his time of need. He appreciates every day of life and understands how precious it is. On December 4, 2017 NJ Blue Now magazine awarded Ptl. Quincy Smith with a Valor award for his actions on the day he was shot. Ptl. Smith told me he was overwhelmed when the magazine staff called him to tell him he was being honored and that everyone involved treated him very well. He tells his story now to other police officers to help them prepare to react and survive a deadly encounter, which as he says from experience, “Can happen at any time”. Congratulations Ptl. Smith, our profession is distinguished because of officers like you.